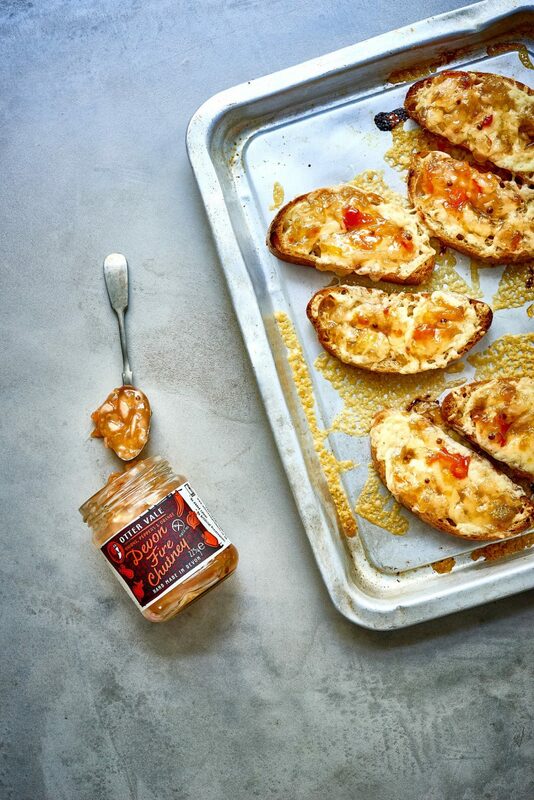 Our Devon Fire Chutney is hot and versatile – perfect for those who like a little spice in their food. 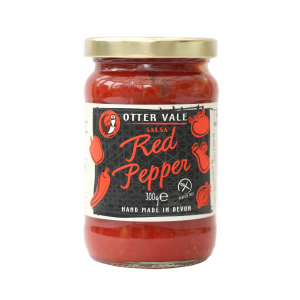 With red peppers and oranges, it has a surprisingly fruity flavour, and the measured addition of Scotch Bonnets leaves a pleasant residual heat on the tongue. 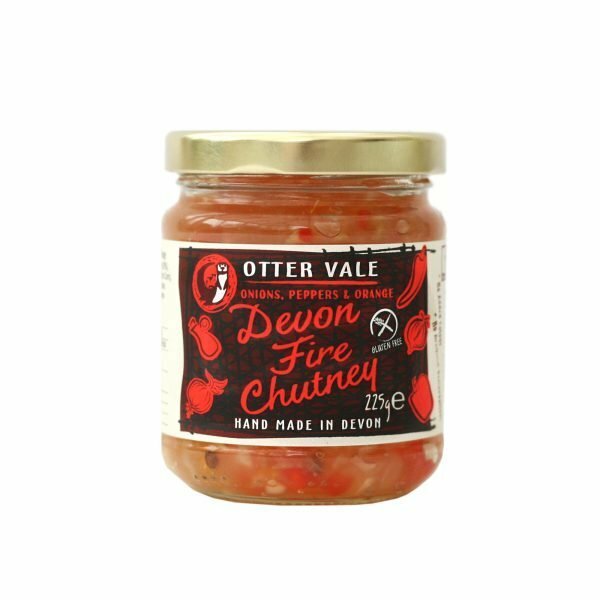 We’ve found that Devon Fire Chutney is great as a dip with poppadoms or a curry, or as a fiery addition to cheese on toast. 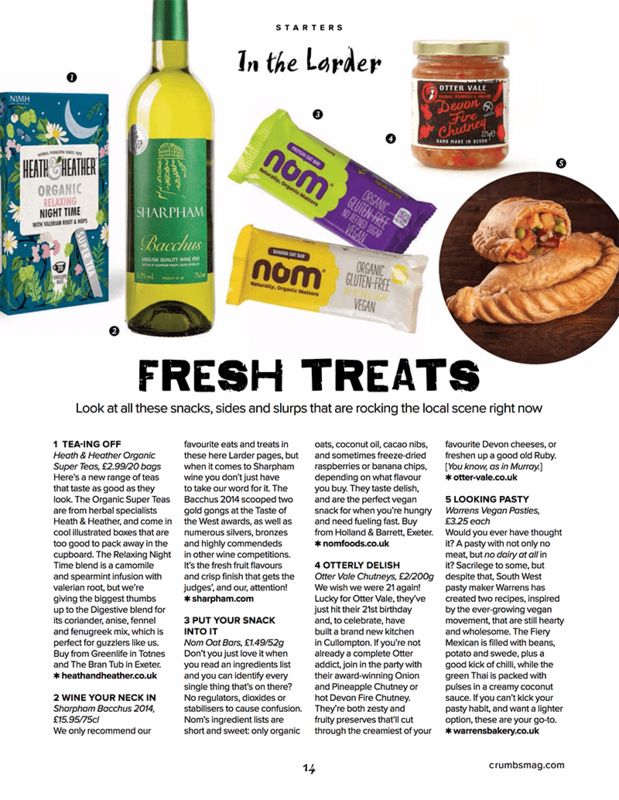 Devon Fire Chutney is so popular it has even been featured in Crumbs Magazine! 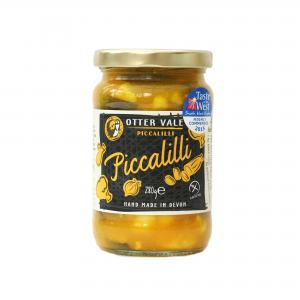 It won a Taste of the West Gold award in 2003. Devon Fire Chutney is gluten-free & dairy-free. Sugar, Vinegar, Onions (26%), Peppers (11%), Modified Starch (from corn), Oranges (3.75%), Chillies, Salt, Spices. . 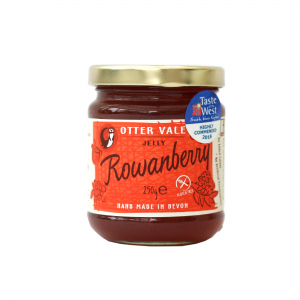 Absolutely love this chutney. It certainly has a bit of a kick to it. Been having this delivered for years now. 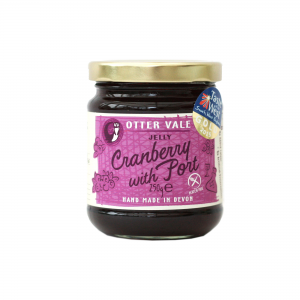 Keep up the good work Otter Vale. 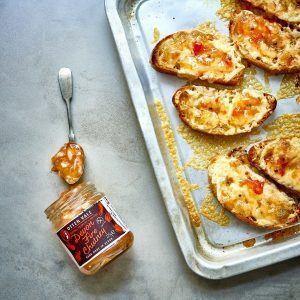 Love this chutney! I’ve been buying it for a couple of years and it’s been popular with the whole family and it’s great I can buy it online! That’s very lovely of you to say, Grainne, thank you for taking the time to leave a comment. 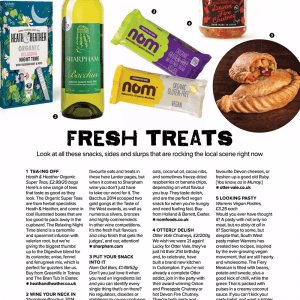 Look out for some new products later this year!